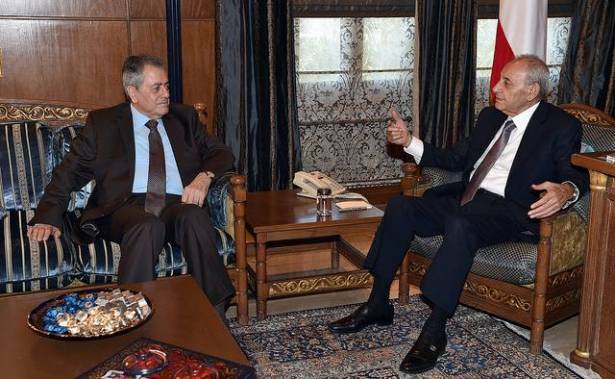 Speaker of the House, Nabih Berri, on Friday tackled the most recent developments at the local and regional scenes with Syrian Ambassador to Lebanon, Ali Abdul Karim Ali. "The meeting had been an opportunity to confirm similar view points concerning the fact that the feats of the Lebanse and Syrian Armies, as well as those of the resistance clamping down on terror have frustrated the Zionist enemy which is the sponsor of terrorism," the Syrian diplomat said. Ali also deemed the truimphant security achievements in Lebanon and Syria a prelude to an optimistic future in the entire region.